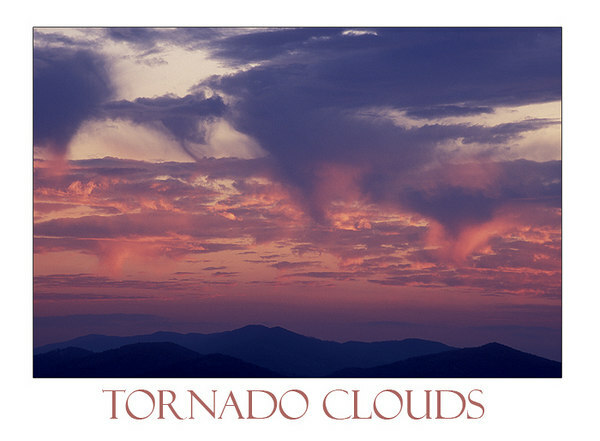 This photo is named "Tornado Clouds" because the clouds closely resemble small funnels. This particular evening in early Spring 2006 made for some wonderful cloud formations. I'm always eager to sit on the deck in the late evening hours to see what type of fantastic sky the sun and clouds will serve up.